Cemil Ertem, the chief economic adviser to President Tayyip Erdoğan, has told state broadcaster TRT World that Turkey will take legal action to counter the U.S. case against the Turkish Halkbank for breaking sanctions against Iran. Halkbank made international headlines last December with the trial in New York of Mehmet Hakan Atilla, an executive at the bank. The trial included testimony from Reza Zarrab, a Turkish-Iranian gold trader at the centre of the sanction-busting scheme, that implicated top Turkish officials including Erdoğan and government ministers. As matter of fact, it’s actually now a case that has turned into a plot that interferes with our domestic affairs. There is widespread speculation, and it has been substantially determined in Turkish public opinion, that the judge in case has attended various events hosted by FETO, and has gained substantial benefits from them. From the start we have maintained that the statements by Reza Zarrab as an informant, the comments and documents of various FETO members, and the FETO police officers have all increased support for this case. The Turkish government, our authorities and judiciary have also ascertained this. Ertem went on to assert that Turkey and Halkbank would consequently “make a counterclaim defending their rights” in the matter, which he claimed was “aimed at the Turkish financial system”. However, the economic adviser assured TRT that Ankara did not want “to turn the situation into a political scuffle between the U.S. and itself”, and that the issue would therefore not “carry over any more into the political and economic sphere”. 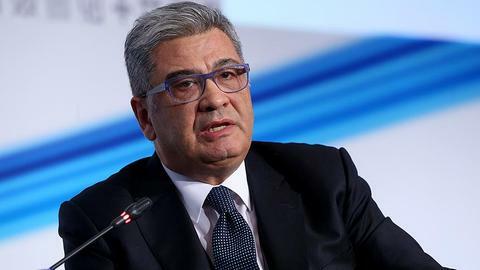 Turkey's economic adviser, Cemil Ertem says the US case against Atilla will not affect Turkish economy, and adds that Turkey doesn't want the issue to turn into a political scuffle.